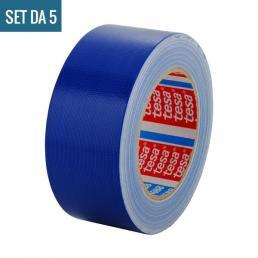 At Mister Worker you can take advantage of special discounts on Tesa adhesive tapes: packaging tapes, double-sided tapes, signal tapes and much more. 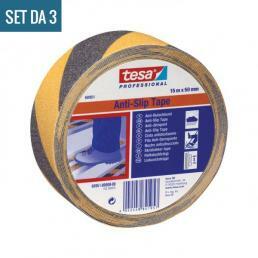 Check this page periodically: you will find all the Tesa professional adhesive tapes at a special price. 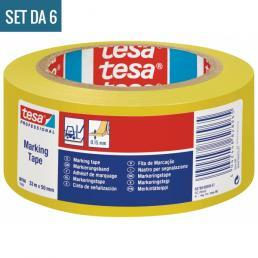 All Tesa adhesive tapes at special prices are carefully chosen to give you the chance to try out every professional tape in the catalog with your hand. 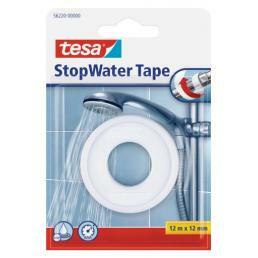 Let's see some examples of Tesa's special offer. 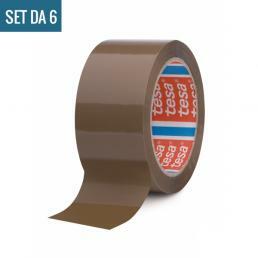 Tesa 4280 brown tape with noisy movement, specific for packaging. The polypropylene film and the natural rubber adhesive make it a highly adhesive and resistant tape, ideal for packaging large packs that face very long shipments. Easy to use with manual dispensers, it adheres perfectly to all cardboard boxes. It is sold in a set of 6 at a special price. 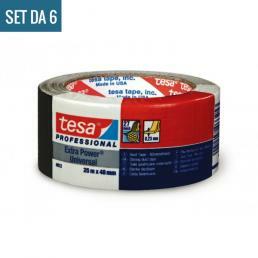 The Tesaflex 60760 yellow and black signal tape is suitable for signaling any surface permanently or temporarily due to danger, but also for signaling visible any type of object, mobile or static. It is made of plasticized PVC with a highly adhesive rubber adhesive, which can be removed by hand and with excellent resistance to abrasion. It is sold on offer in sets of 6. 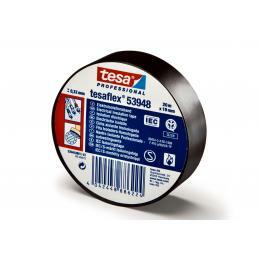 Tesaflex 53948 is a professional insulating tape with natural rubber adhesive, ideal for wiring, binding of electric wires and cables. It has good flexibility and excellent adhesion, and has been designed for low temperature applications. Thanks to its special PVC formulation, it is a self-extinguishing tape certified by IMQ and CEI. It is easily rolled up on uneven surfaces, and guarantees safe protection up to 5000 V.
Multipurpose American cloth tape in plasticized fabric, the Tesa® 4612 Extra Power Universal tape consists of a plasticised adhesive with a natural rubber adhesive. It resists to atmospheric agents, is water-repellent and conformable, and is therefore suitable for use both indoors and outdoors. It is the perfect adhesive tape for crafts, repair, fixing, packing, restoration and much more. 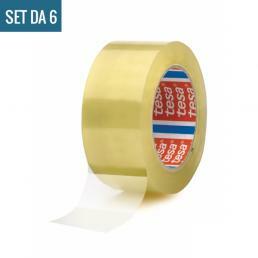 The special offer is valid on a set of 6 multi-purpose adhesive tapes. If you need professional tapes, immediately buy Tesa adhesive tapes on offer: Mister Worker carefully selected them in the Tesa 2018 catalog, to allow you to touch the best with your hand. If you want to know more, please contact us by email to [email protected] or phone at +39 02 9143 3257.